Jack Butala: Jack Butala with Jill DeWitt. Jack Butala: Welcome to our show today. In this episode Jill and I talk about leaving a legacy, not a liability. I gotta tell you Jill, this is not the most exciting topic. Jill Dewitt: Oh, it’s going to be fun, I promise. Jack Butala: Before we get into it, I have a surprise for the listeners. Jack Butala: And for Jill. Jill Dewitt: Oh, this is cool. Jill Dewitt: Was I there? I’m like this is here’s were this was. Jack Butala: No, it was before ten o’clock in the morning so you were still sleeping. Jack Butala: Who inspires you the most Jill Dewitt? Jill Dewitt: Aw, my dad. Did you know that? Jack Butala: I knew it wasn’t me. Jack Butala: What’s your greatest fear? Jill Dewitt: Oh, my children needing something and I can’t be there. Jack Butala: Do you have any like … Are you afraid of heights or water, anything of that stuff. Jill Dewitt: Oh, that kind of a fear? Jack Butala: Any of that stuff. Jill Dewitt: Oh, what’s my greatest fear like that? Well, I’m not a fan of … There’s a lot of rodents and snake things that I don’t like. Jack Butala: That was very specific. Jill Dewitt: And that scared the you know what out of me. Jack Butala: What’s the last song you want to hear before you paddle out? Paddle out for the last time. Jack Butala: Oh, yeah. Depeche Mode … Best Mexican restaurant? Jill Dewitt: Frank and Lupe’s. Jack Butala: Awesome. Buddha or Jesus? Thinking I’d get into that. Jack Butala: Oh, this is a good one too. Buddha, really? Jack Butala: Good. Favorite piece of clothing ever owned? Jack Butala: Really? Do you still have it? Jill Dewitt: No, it didn’t make the cut several years ago and I wish I still had it. Jill Dewitt: It had fringe. Jack Butala: What’s the farthest you’ve ever had to travel on foot? Jill Dewitt: Probably, on purpose, I like hiking and I’ve done some pretty long hikes. One by myself that I was- it was in Tucson in the foothills there. Jack Butala: So an eight of a mile. Jill Dewitt: Like seven … No, it was going to these falls … it was going to seven falls and it was several, several miles. It took four to five hours and I went by myself, and I didn’t take a cell phone so my mom wasn’t really happy with me when I got back and I told her. Jack Butala: So this is way back? Jill Dewitt: Yeah, it was way back. Jack Butala: Number of Facebook friends? Jill Dewitt: Goodness, I don’t know. Jack Butala: This was designed for a surfer by the way. Like a famous surfer. Jill Dewitt: This is cool. I probably have, I don’t, I probably just have a few hundred. Jack Butala: Worst tattoo you’ve ever seen? Jill Dewitt: Well, it was on someone’s neck and it was misspelled. Jack Butala: What was it? Jill Dewitt: I want to say it was dignity or something like that, it was stupid. Yeah, It was bad. Jack Butala: Favorite Australian slang phrase? Or word? Jill Dewitt: Australian. Aussies. I don’t know any Australians. They eat the … shoot, I can’t even think of the main stuff they eat. Minute work … Vegemite sandwich. Tostadas, it’s called a thick coat, because of the Australians. Jill Dewitt: Geez, this is hard. Jack Butala: Out of all the people I know, you are the most rated-G Jill. Jack Butala: I mean, with your language. Late nights with friends or [inaudible 00:04:03] with yourself? Jill Dewitt: Oh my gosh, late night with friends. Jack Butala: Take my rated-G back. Jill Dewitt: Yeah, all night with friends. Jack Butala: Worse song on your MP3 player right now? Jill Dewitt: You’re going to not like this but Michael Jackson. Just kind of bores me sometimes. Jill Dewitt: I know, I’m sorry. Jack Butala: The rest of the world does not agree. Jill Dewitt: I’m sure. Yes. Can I just say yes? Jack Butala: Yeah, we can do that. Jill Dewitt: I think that anyone that cannot honestly say yes to that answer, they’re not my friend. Jack Butala: Best thing anyone’s ever said to you? These are good interview questions. Jill Dewitt: Best thing anyone’s ever said to me? Was a parent, my dad, telling me he was proud of me. Jill Dewitt: It was a big picture proud, not like, nice job cleaning up your room proud. Jack Butala: Best text message you’ve ever received? We’re getting close to the end here. Jill Dewitt: Oh, gosh. You, sending me a love note. Jack Butala: Good. Good answer. Last question. Dream sponsor? Jill Dewitt: What does that mean? Jack Butala: This is designed for surfers but if someone was going to endorse you, like Core Logic or something. Jill Dewitt: Oh, my dream sponsor. Jack Butala: Like Mattel Barbie? Jill Dewitt: I was thinking that. I’m gonna get a little more creative here. Citation Aircraft. Jack Butala: You know what, they would sponsor you. Jack Butala: That’s not a pipe dream. Jill Dewitt: Jack and Jill with Citation on the side. Absolutely. Jack Butala: Before we get into our real show, let’s get back on track here. Jill Dewitt: Thank you, that was fun. Jack Butala: Let’s take a question by one of our members on the Landinvestors.com online community. It’s free and it is Landinvestors now by the way. Jack Butala: Land investors has taken over and replaced Successplant. Jill Dewitt: Successplant. Sorry Successplant. Jack Butala: I’m happy to report. Jill Dewitt: All right, it got us where we needed to be. Milan asks, “I hear this all the time, Jack saying that several members are making several hundred thousand a month. I have a big respect for Jack and I’m very thankful the program he and Jill created. This is a great business but someone from this community that started two years ago is making seven hundred thousand dollars a month?” That’s the question, like really? Jack Butala: A chose this question personally out of many, many questions. 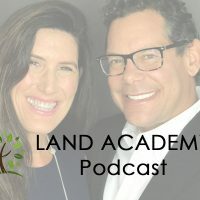 What happens every week is our producers put together a list of questions from success [inaudible 00:06:46], our Landinvestors.com. And I get to choose them and I intentionally choose the ones that are the most difficult to answer. And ones that come from the biggest skeptics. I chose this one for a bunch of reasons. Here’s the profile of, there are several people in our group that fit this profile. They purchase property that’s worth between 40 to 80 thousand dollars. It’s not worth that but that’s what they pay for it. They sell it for 120 to 150, but it’s worth five … half a million dollars. That’s how you get to a couple of hundred thousand dollars a month. So imagine you do one deal a week. I mean, Jill, how easy to do one deal a week? Jill Dewitt: I think I can do that. Jack Butala: You know, it doesn’t take long to make in a couple of hundred thousand dollars a month when you’re making 60 to 80 dollars a deal. Jill Dewitt: But especially once you get the momentum going. Jill Dewitt: That’s really the key. Jack Butala: Here’s the key. Along the same lines, because Luke Smith makes that much. Everybody by now knows Luke Smith, he was one of our original members. He is on our Thursday call all the time and his ad. Somebody asked him recently, why are you so different? How did you scale up this so quickly? And you know what his answer was? I send out a lot more offers than everybody else. And that’s it, there’s no secret to this. Send a ton of mail out. Jill Dewitt: I don’t think even Luke gets, he will be honest in saying that, I’m sure I priced these wrong. I just blasted this whole area and let’s just see what happens. Jack Butala: Well, just like me. Jill Dewitt: Did you say say just like Jill? Jack Butala: I was going to say, “Just like Jill and me,” but really, just like me. 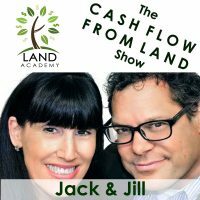 Jack Butala: If you have a question or you want to be on the show reach out to either one of us on Landinvestors.com. Today’s topic? Leave a legacy not a liability, that’s the meat of this show. Jill Dewitt: Please do this Jack. Jack Butala: This is, again, the result of a conversation that Jill and I had in the car driving somewhere. We were talking about over leveraging real estate. So imagine that you’re in massing a fortune in real estate but you’re doing it by taking on debt. So you leverage everything by 95%, right. The house is 100 thousand dollars, you borrow 95 thousand dollars, you come up with the five grand somewhere else. Maybe in the bottom of your couch. I don’t know, but you have five thousand dollars equity on the property. So, imagine you do that with office buildings and you get a 100 million property and 95 million dollars worth of debt. It’s not very attractive. So how do you deal? How do you avoid that? You pay less for the property that it’s worth, and you immediately create equity for yourself because you’re paying a cheaper amount for the property that it’s actually worth. Especially if you buy it cheaper than wholesale, not retail. So if you get hit by a bus, what are you leaving a legacy or a liability? You’re leaving a pretty serious legacy. And this is where it all came from. It’s an interesting title but not a very interesting topic to talk about. And Jill’s clearly got a lot to say about it. Jill Dewitt: No. I actually was dozing off there. Sorry. Jack Butala: Next show she’ll paint her nails for us. Jack Butala: A lot of years ago, I got into habit of doing this and it wasn’t even conscious. It’s just how I review acquisitions. Every piece of property that comes across my desk, I don’t care what type of property it is, but let’s just use land as an example. I look at it and immediately think of three numbers. Number one, first number is, what am I going to pay for it. The second number is, what am I going to sell it for. The third number is, what is it really worth. In my favorite kind of deals like this. I’m paying 50 thousand for it, I’m gonna sell it for a 100, and it’s worth 300. Well, if you’re a first time listener, you’re probably saying to yourself, dream on, that doesn’t happen. Jill Dewitt: Kids moved out, they’re done. Jack Butala: They don’t want to go through the hassle of cleaning everything up and showing the house and the whole thing. Jill Dewitt: And it’s been paid for 10 years. Jack Butala: Right. They’d rather just have a 120 thousand bucks cash right now. Walk away, throw the keys at you. They know it’s worth 150 and nobody’s apologizing for that. Very, very, very common. It’s very common with land, where the husband maybe bought some property the wife didn’t know about. The husband passes away, the wife finds out about it and just wants to sell it. Check it off the list on a state list. When you’re wrapping somebody’s estate up. So my point is, to wrap it back up to the show, make sure that you’re not over leveraging a deal. In fact, the best way to ensure that is to just pay cash for it. And then figure out how much you want to leverage later. If you don’t, well, that’s great Jack, if I don’t have the cash. Jill Dewitt: I love it when you have a little conversation with yourself, like you just did. Jack Butala: You know where I learned how to do that? Jill Dewitt: Why am I even here? I’m a little confused. Well gee, that’s great Jack. Jack Butala: If you don’t have the cash but you’re very smart, and you send a lot of offers out and are staring at really smoking real estate deals. There’s ton of people in our group that have way more money than sense. Self-described. Jill Dewitt: I know someone who has way more money than sense. Jack Butala: Who? Say their name. Jill Dewitt: I was looking at them. Some days. Jack Butala: This is a perfect way to end this show. Join us in another episode where Jack and Jill discuss how to use information, that’s me. Jill Dewitt: And inspiration, and I’m joking. Jack Butala: No, you are. Jill Dewitt: Just teasing. That’s me. Jack Butala: To get just about anything you want. Jill Dewitt: We use it every day to buy property for half of what it’s worth and sell it immediately. Jack Butala: You are not alone in your real estate ambition. I like it better when you just paint your nails at times. Jill Dewitt: Versus I actually pay attention? Jack Butala: You know, we honestly, successfully had fun on that show on maybe one the driest topics there was on the planet. Jill Dewitt: That was a good thing that your brought in and that was totally surprised by that questionnaire. Jill Dewitt: We did an interview the other day with J.P. Mosses. Jack Butala: Air Crow, Air Co.
Jill Dewitt: No, no, no. J.P. Mosses. Jack Butala: Oh sure, yeah. Jack Butala: Real estate mogul show. Jack Butala: We were the guests. Jill Dewitt: We were the guests. He does two a month but what was cool, Jack and I now we have done so many of these that there’s no preparing. It’s actually fun now for me. I don’t panic. I used to panic. Jack Butala: Our listeners are very aware that we don’t prepare for this show. Jill Dewitt: There is that. So, I think I’m coming across okay when it’s really a mess. Is that what you’re saying Jack? Jack Butala: We have 10 listeners now. Jill Dewitt: Yeah, that many? Well, that’s four more than I saw last year, so … But that was fun, I liked doing those questionnaires. I’m okay, so I’ll have to get you another time. That’d be good. Jack Butala: Information and inspiration to buy undervalued property.